Getting lost in the woods is up there with tarmac delays on the list of travel nightmares. Except there’s no free sodas and Biscoff cookies if you’re there longer than three hours. You’ll need to find your own food and water, a place to sleep and stay warm, and, eventually, your way out. 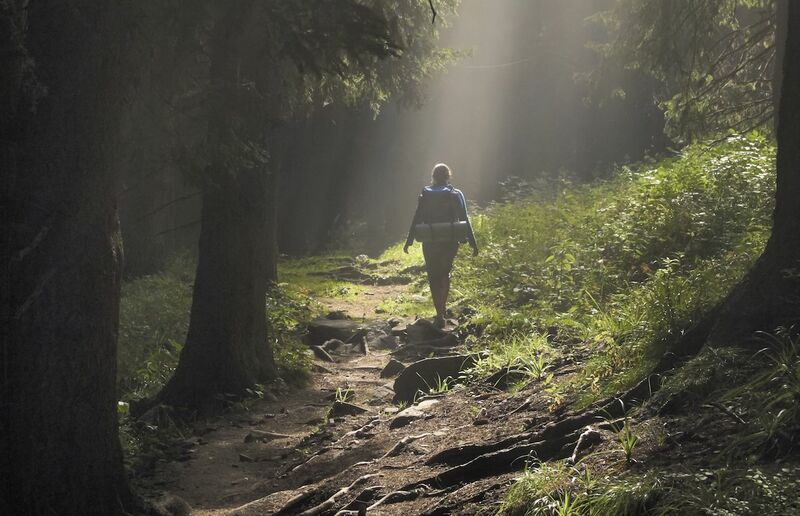 Though we’ve never had the pleasure of being lost in the woods, hundreds of people have. And the folks at SmokyMountains.com culled through their stories to find out what those people did to survive. Note that we don’t actually endorse a few of these… ahem, creative methods, but they did get the job done in keeping the stranded person alive. Thankfully, the website also sought the advice of Wildlife Ranger and survival instructor Andrew Herrington, who adds his more practical tips to those of the survivors. Pressing your body up against another human is a commonly cited method of staying warm. Some choose the classic spooning method while others, like 19-year-old Tommie Henricks and his companions, opt to do stuff like stick their toes in each other’s armpits — which they did when they were lost for two days in Cross Couloir, Colorado. If you’ve got canine companions, they’ll keep you warm too, as they did for Annette Poitras when she got lost on Eagle Mountain in British Columbia. Chloe, her pet collie, and Bubba, her pug mix, took turns laying on top of Poitras to keep her warm. Lacking a pet or another person, you can also do calisthenics in your sleeping bag, like Jorge Joachim did while he was lost for nine days in Jasper National Park, Alberta. Or find moss to pile on top of yourself as an unnamed lost hiker did in Bear Lake, Oregon. Alan Austin got caught in a freak snowstorm while skiing in Squaw Valley, California, and dug a six-foot snow cave, lined with branches and pine needles for insulation. Mary Owen did the same thing to help survive almost a week in Mt. Hood, Oregon. Of course, plenty of people get lost when it’s not snowing, and if you can find a hollowed-out tree trunk, it makes excellent shelter as it did for Lacy Murphy when she survived two days on Mt. Rainier. Herrington suggests bringing a 55-gallon trash bag along to create a water-resistant shelter. He also suggests using a tarp, puffy jacket, or quilt. On average, you can survive about three days without water, but if you’re trying to find your way out of the wilderness, odds are you’ll need more. Many of the survivors in the study found lakes, streams, and other bodies of water to drink from. Even if you think the water might be contaminated, which it very well might be, Harrington says your odds are you’ll be rescued within 24 hours, so you should be more concerned with dehydration than infection. That was Gilbert Dewey Gaedke’s logic when he spent five days wandering a lava field on the Kilauea Volcano in Hawaii. 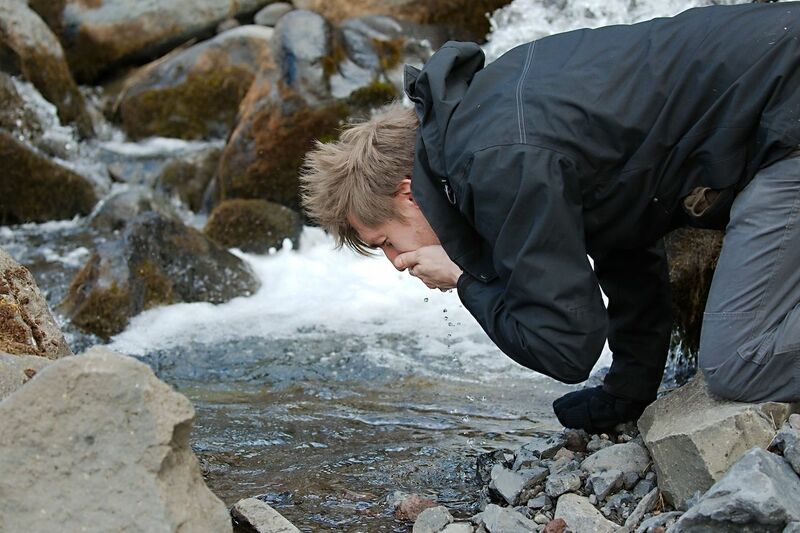 With no natural water sources, he began squeezing water from moss to survive. Aron Ralston, famous for amputating his own arm to free himself from a boulder, drank his own urine to stay hydrated during his ordeal. As did Ronald Hutter, who kept his arms and survived four days drinking urine in Mt. Lemmon, Arizona. Ed Rosenthal did the same when he was lost in Joshua Tree, as well as foraging water from cacti. In the right environment, though, drinking urine won’t always be necessary. Nineteen-year-old Lukas Cavar was lost in Sullivan Cave, Indiana, and trapped moisture from the cave in empty candy bar wrappers. He also licked the cave walls to stay hydrated, and Lacy Murphy licked leaves and moss to stay hydrated on Mt. Rainier. Most people have about 30 days worth of calories to live on, so no need to panic like Eric LeMarque, who ate some of his own flesh while stuck in Mammoth Mountain for a week. That said, starvation is never fun, so Harrington suggests packing lots of small, high-calorie foods like almond butter and coconut oil packs. He also says trying to hunt or forage for food is going to cost you more calories than it’ll gain, so your best bet is to make do with what’s around you. If you’re planning a venture out into nature, do a little prep work and find a Mexican restaurant that serves chapulines. Snacking on grasshoppers will get you over the “Ew, I’m eating bugs” mental block, so if worst comes to worst, you’re cool snacking on insects — one of the best protein sources in nature. We’re not sure Greg Hein did this before he got lost for a week in Kings Canyon National Park. But he still survived off crickets, large ants, and water bugs before he was noticed by a rescue helicopter. Even if you’re hungry, rationing your food is essential. This was how David Vetterlein survived 16 days in Siskiyou National Forest on 12 cornmeal muffins and salmon jerky. Rick Moyan rationed himself two oranges, three cookies, nine Tic Tacs, and two Werther’s Originals a day for six days to stay nourished in Keremeos, British Columbia. Those who survived more than 30 days did, however, have to resort to extremes. Marco Lavoie was stuck for a whopping three months on Mattagami Lake in Quebec. He even survived a bear attack, thanks in large part to his trusty dog. For his service, the dog was unfortunately turned into lunch, as Lavoie ate his best friend on day three, for some reason, before he tried fishing. Nearly two-thirds of those who were rescued kept moving when they realized they were lost. However, Herrington says if you tell people where you’re going your best bet is to stay put as they will be looking for you on your route. Since three-quarters of those lost were found by rescuers (versus finding their own way out) you’ll have better odds if you make it easier for them to find you. He suggests packing bright tarps and clothes, and bringing signaling mirrors so you can flash light at potential rescuers. That was ultimately how Gaedke escaped his Hawaiian lava field and how Lon McAdam ended his week lost in Superstition Wilderness, Arizona. If you didn’t tell anyone where you were going, (which, by the way, don’t do that), following water is usually a good path to safety. Eighteen-year-old Austin Bonahan discovered this when he lost his stepfather on a hike through Great Smoky Mountains National Park. He followed a stream down a mountain to a large creek, where he found a man and his daughter boating. You might also try following animal tracks, as Marcus Mazzaferri did in Yosemite National Park following deer tracks to escape. Before leaving, Herrington says you absolutely must leave your trip plan and check-in time with two different people. That way if you don’t arrive where you’re supposed to be on time, people can start looking. You also should study your maps and find escape routes if you get lost, and print the maps instead of relying on GPS or other battery-powered technology. In addition to carrying essentials like flashlights, compasses, and first-aid kits, bring water purification tablets and fire-making gear like Vaseline-soaked cotton balls and matches/lighters. 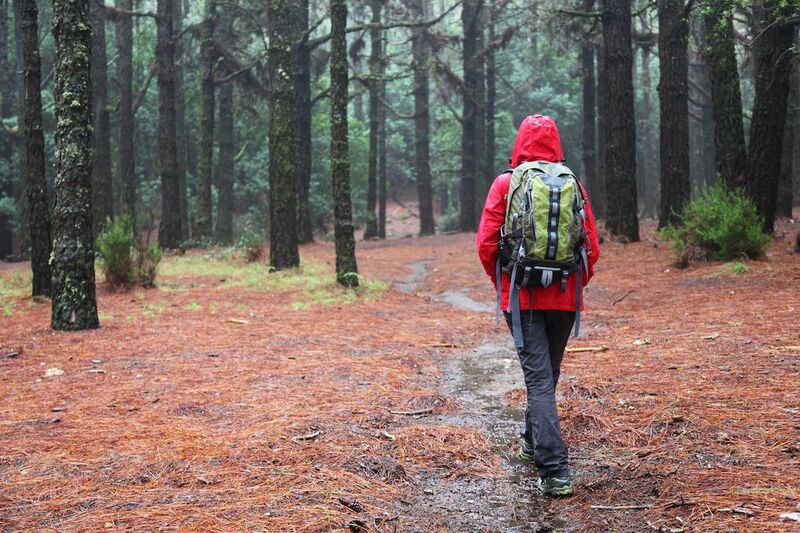 Layer your clothes with a bright, outer Gore-tex shell, using stuff like Merino wool so it breathes and dries easily. If you do find yourself lost, bring a knife so you can mark your trail by snapping branches and skinning trees, then follow the white marks in the bark to retrace your steps. Also, look for geographic features on the ground, and compare them to your maps so you can get a general sense of where you are.